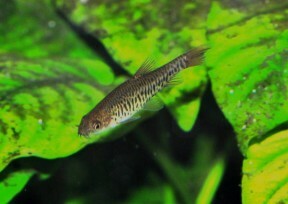 Mature female measuring 60 mm TL. This species is endemic to the Lake Inle basin in Shan state, Myanmar. ...which are fused to form a solid longitudinal stripe in some cases. Aquatic plants grow densely in Lake Inle. 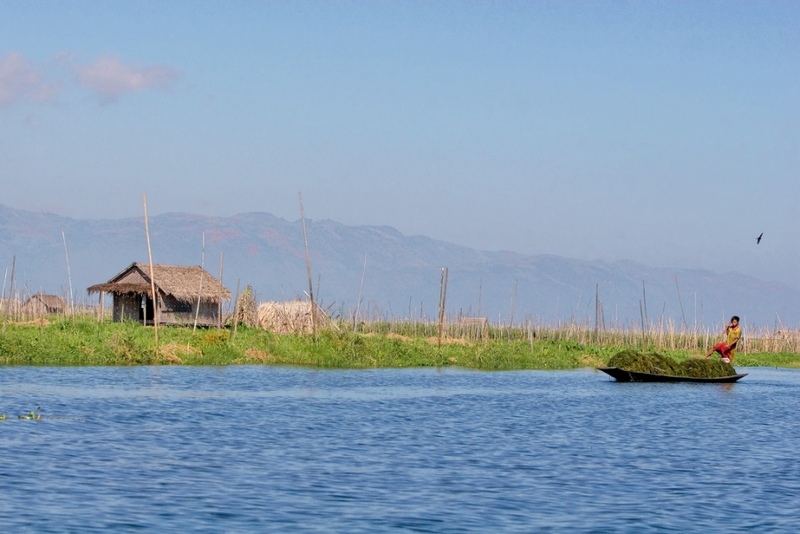 Inle is famed for its floating 'gardens' which provide a valuable habitat for fish species. 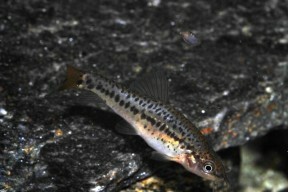 Petruichthys spp. should be offered plenty of small live foods in the aquarium. This species spends much of its time 'hovering' in midwater. The following sequence of images depict courtship behaviour, with one or more nuptial males pursuing a gravid female. Here, an individual of Ambastaia sidthimunki attempts to get involved. The male(s) may pursue the female for several hours. The males attempt to drive the female into the cover of vegetation to spawn. 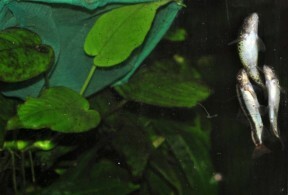 Aquarium-bred specimen measuring approximately 24 mm SL. 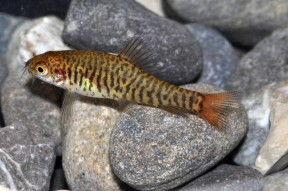 Aquarium-bred specimen at 30 mm SL; note the overall orange-reddish colour, apparently a juvenile character that fades as the fish mature. The same specimen as in the preceding image at 40 mm TL. 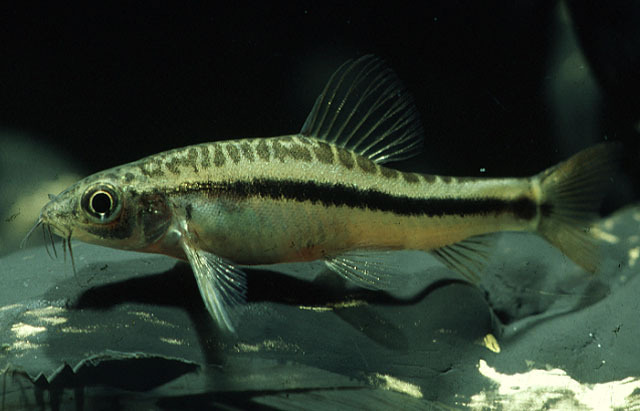 Petruichthys: probably named in honour of Romanian ichthyologist Petru Mihai Bănărescu (1921-2009), in combination with the Ancient Greek ἰχθύς (ikhthús), meaning ‘fish’. brevis: from the Latin brevis, meaning ‘short’. Boulenger did not explain why this name was chosen. Known only from isolated Lake Inlé and surrounding watershed in Shan state, eastern Myanmar, and the nearby He-Ho plain. Type locality is ‘Inlé Lake, Fort Stedman, southern Shan States, Myanmar, elevation 3000 feet’. 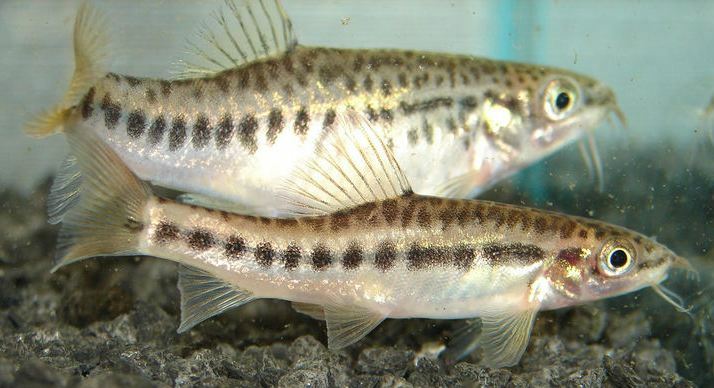 The species is currently listed as ‘Vulnerable’ on the IUCN Red List due to deterioration of Lake Inlé. Unsustainable agricultural practices in and around the basin have caused increases in sedimentation, eutrophication, and pollution along with a reduction in surface area of more than 30% between the years 1935-2000. 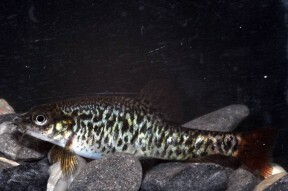 Non-native, predatory Parambassis and Tilapia species have been introduced for farming, while collection for the aquarium trade may also be exerting a negative effect. Lake Inlé lies in a karstic valley almost 900m above sea level in the Shan Plateau region and is home to many endemic animals including nine species of fish and numerous gastropods. The water is clear, shallow (2-3 metres deep in most places) and has a very fertile, loamy substrate, although it can be muddy and turbid around the margins. It is famed for its stilted villages and local fishermen known as Intha who row their boats using only one leg. 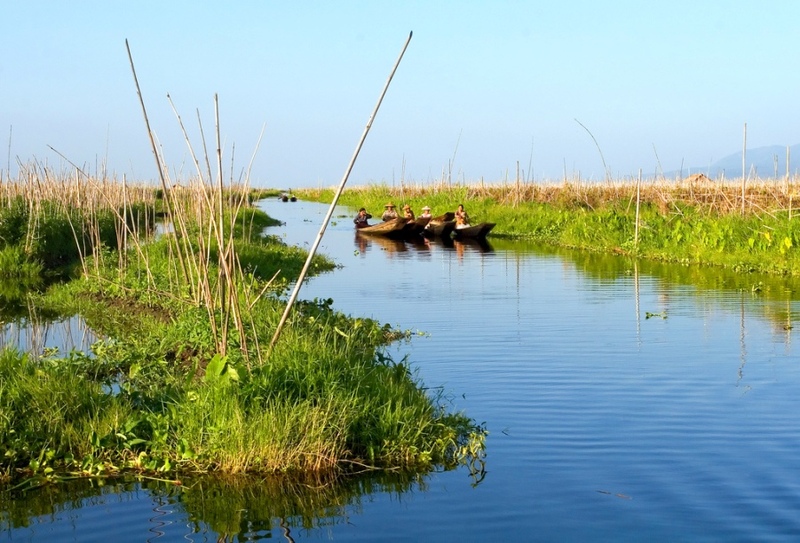 These people, thought to have migrated from the south of Myanmar in the late 1300s, use naturally-occurring floating ‘islands’ consisting of tangles of various plant species as gardens. 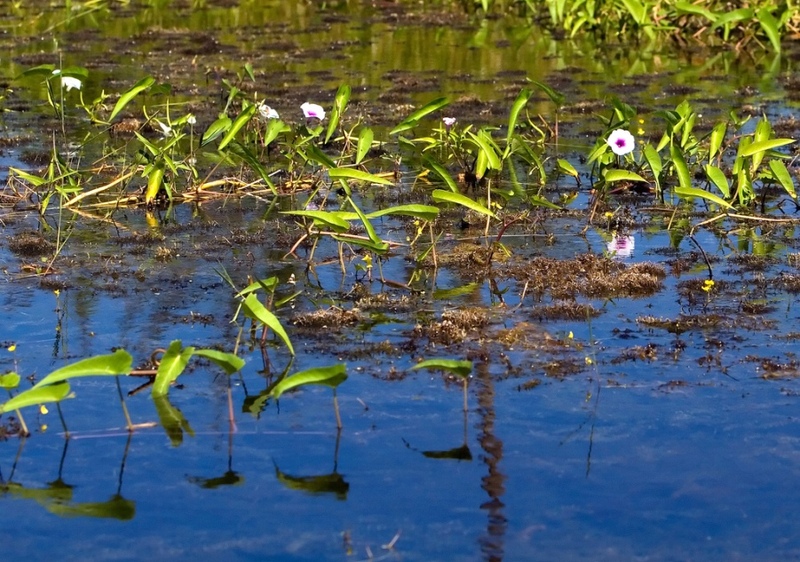 These islands form a wide raft around the lake margins, rising and falling with the water level, and have come to form the habitats of many fishes which take shelter among the tangle of roots and plant stems at their base. 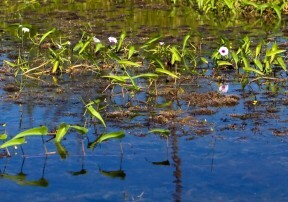 Macrophytes also grow densely in places. Male 35 – 40 mm; female 55 – 60 mm. Minimum base dimensions of 90 ∗ 30 cm or equivalent are suggested. 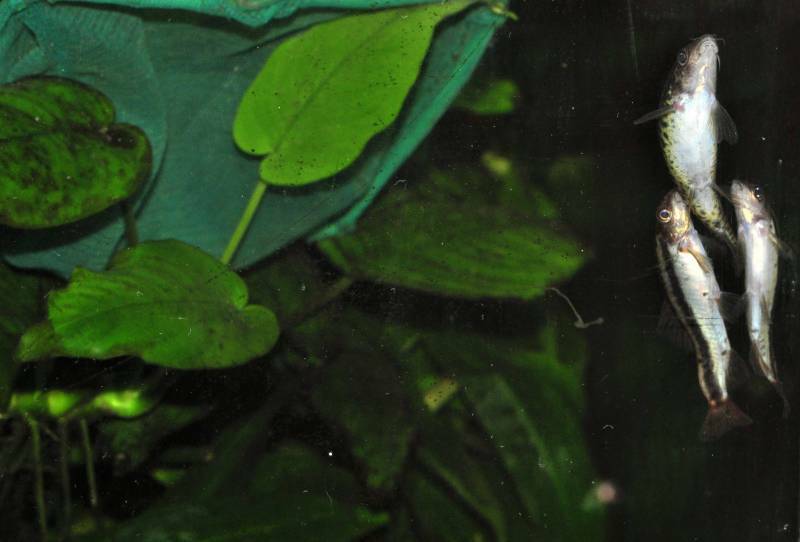 Best maintained in a planted aquarium, and an excellent choice for the carefully-aquascaped set-up. The addition of some floating plants, driftwood roots or branches, and leaf litter seems to be appreciated. If you wish to raise fry alongside the adults the addition of fine-leaved aquatic moss such as a Taxiphylum sp. is advisable (see ‘Reproduction’). The water should be well-oxygenated but not turbulent, although some flow is acceptable. Likely to be a micropredator feeding chiefly on small insects, worms, crustaceans, and other zooplankton in nature. 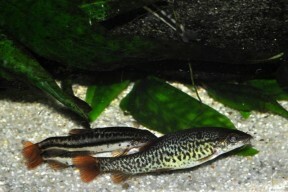 In the aquarium it must be offered items of a suitable size and quality, particularly small live foods, although fine-grade or crushed dried foods are also accepted. Peaceful and likely to be intimidated or outcompeted for food by larger or more boisterous tankmates, although the presence of similarly-sized schooling fishes seems to help reduce its shyness. 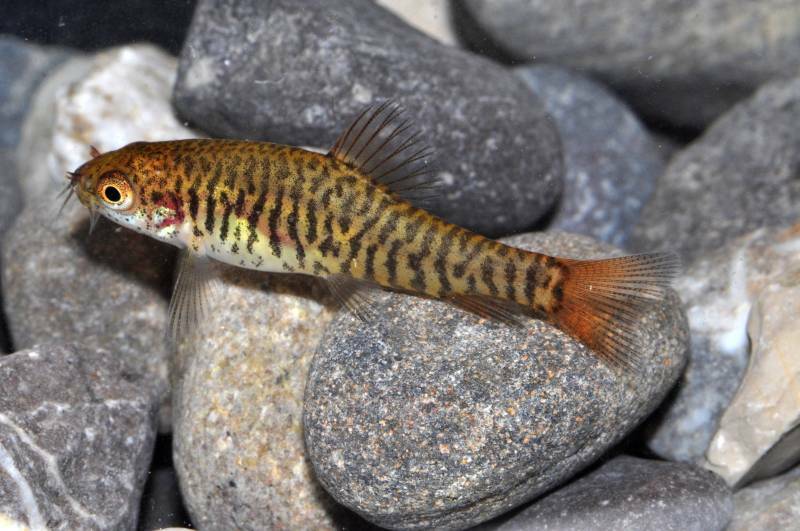 Small cyprinids or characids are ideal options, and many peaceful loaches and catfishes should also prove suitable. 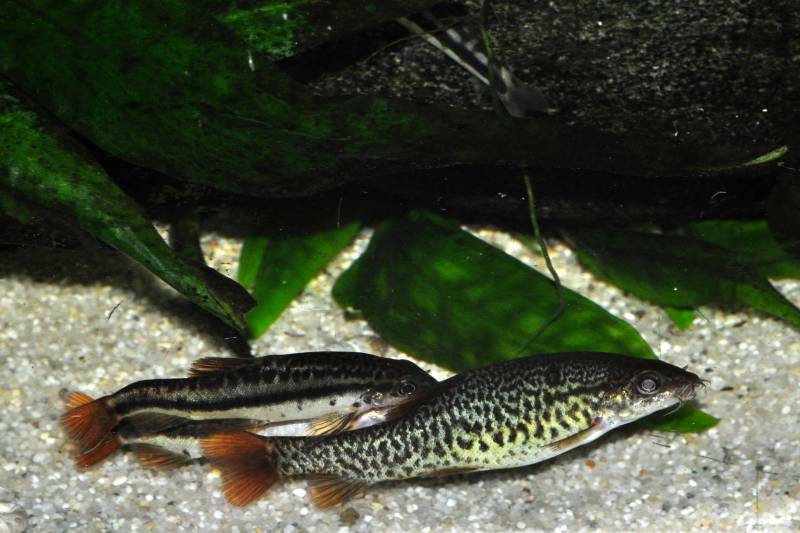 Petruichthys spp. are highly gregarious and should be kept in a group of at least 8-10 specimens. 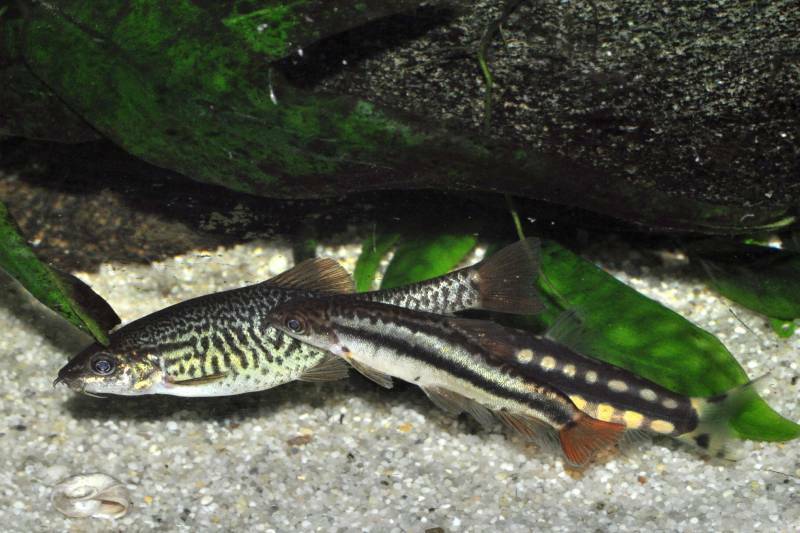 Unlike most loaches they also spend a lot of time in the open, often hovering in midwater and exploring all levels of the aquarium. 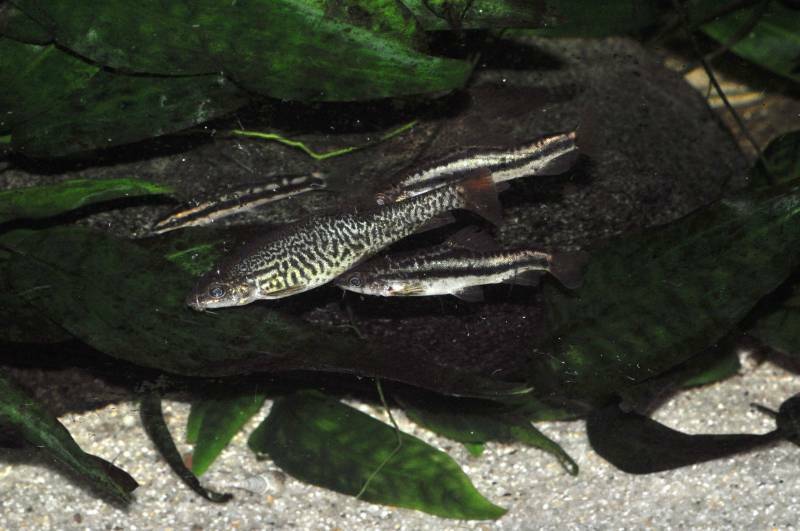 Sexually mature females tend to be more robust and noticeably larger than males, with a colour pattern comprising irregular dark spots and small blotches, some of which may be fused to form small stripes or bars. Males possess a number of short, variably-sized vertical bars along the flanks, which in some specimens are joined to form a solid stripe, and also possess a suborbital flap which is absent in females. 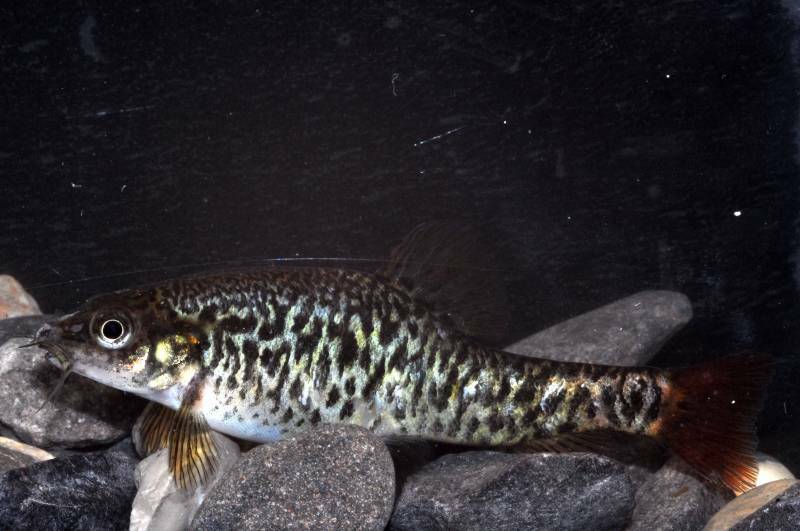 This species has been bred in mature, heavily-decorated community aquaria. A relatively coarse substrate with driftwood roots and plenty of live plants appears to represent the most favourable set-up, presumably because such an arrangement allows some eggs to hatch and subsequently some fry to avoid predation. 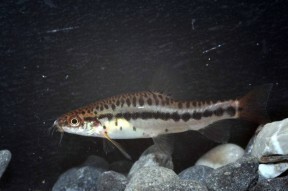 This species is sometimes traded as ‘Lake Inle red-tailed loach’ and was formerly included in the genus Yunnanilus, a diverse assemblage of which the majority of members are endemic to the Yunnan plateau in Yunnan province, southern China. A number of them are known only from a single locality or have very restricted ranges, and in some cases have come to colonise habitats or ecological niches not normally associated with nemacheilid loaches. 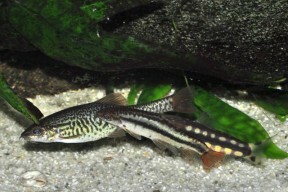 Several groups of closely-related species existing within Yunnanilus have been noted and Kottelat (2012) moved those that had been formerly included in the Y. nigromaculatus species group into the genus Eonemacheilus Berg, 1938, while those from Myanmar were included in Petruichthys Menon, 1987. P. brevis can be told apart from congeners and related species by the following combination of characters: short lateral line with up to 12 pored scales; cephalic lateral line system present with 3+3 supratemporal and 9 pre0perculo-mandibular pores; 16-17 branched caudal-fin rays; caudal peduncle 1.06-1.14 times longer then deep; caidalñ peduncle depth 12-14% SL; eye diameter 6.2-7.6% SL; body depth 23-26% SL. List of the fishes collected by Mr. E. W. Oates in the southern Shan States, and presented by him to the British Museum. A generical classification of Nemacheilinae with description of two new genera (Teleostei: Cypriniformes: Cobitidae). 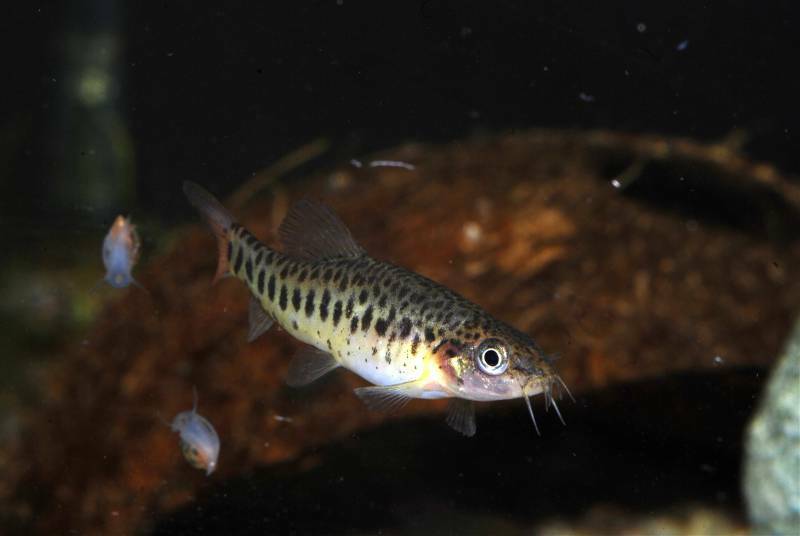 Nemacheiline loaches from Central Vietnam with descriptions of a new genus and 14 new species (Cypriniformes: Balitoridae). Revision of Yunnanilus with descriptions of a miniature species flock and six new species from China (Cypriniformes: Homalopteridae).